If you have Raspbian Jessie, VNC Server is included with your Raspberry Pi. It’s completely free for non-commercial use; just enable it. You’ll also need a VNC Viewer application for the Windows, Max or Linux computer, or iOS or Android mobile device, you want to control your Pi from. Get VNC Viewer. VNC Server is included with Raspbian but you still have to enable it. If you have an earlier version of Raspbian, or a different Linux distribution, you can install VNC Server yourself. If you’re already using an older version of VNC Server, restart it. If not, and you’re already booted into the graphical desktop, select Menu > Preferences > Raspberry Pi Configuration > Interfaces and make sure VNC is set to Enabled. Alternatively, run the command sudo raspi-config, navigate to Interfacing Options > VNC and select Yes. From now on, VNC Server will start automatically every time you boot your Raspberry Pi. See how to stop VNC Server. By default, VNC Server remotes the graphical desktop running on your Raspberry Pi. However, if your Pi is headless (not plugged into a monitor) or not running a graphical desktop, VNC Server can still give you graphical remote access using a virtual desktop. Note you can also install VNC Viewer on your Raspberry Pi, in case you want to control a remote computer (or another Raspberry Pi!). To do this, use the Recommended Software program, or run the command sudo apt-get install realvnc-vnc-viewer. There are two ways to connect; you can use either or both. Please make sure you’ve downloaded our VNC Viewer app to computers or devices you want to control from. Direct connections are quick and simple providing you’re joined to the same private local network as your Raspberry Pi (for example, a wired or Wi-Fi network at home, school or in the office). If you’re connecting over the Internet, it’s much safer and more convenient to establish a cloud connection. Cloud connections are convenient and encrypted end-to-end, and highly recommended for connections over the Internet. There’s no firewall or router reconfiguration, and you don’t need to know the IP address of your Raspberry Pi, or provide a static one. You’ll need a RealVNC account; it’s completely free to set up and only takes a few seconds. 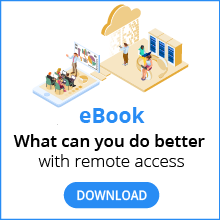 We’ll give you a special version of our Home subscription that enables both cloud and direct connectivity, and also in-session features such as system authentication, file transfer, printing and chat. You can apply your Home subscription to five Raspberry Pis and/or desktop computers in total. Please note you revert to the standard feature set for Windows, Mac and Linux desktop computers. Sign up for a RealVNC account by entering your email address in the box on this page, and following the instructions. On the device you will use to take control, run VNC Viewer and sign in using the same account credentials. To complete either a direct or cloud connection you must authenticate to VNC Server. Enter the user name and password you normally use to log on to your user account on the Raspberry Pi. By default, these credentials are pi and raspberry, but hopefully you’ll have changed them to something more secure by now! VNC Server can remote the screen of Raspberry Pi apps that use a directly rendered overlay, such as Minecraft, the text console, the Pi camera module, and more. To turn this feature on, open the VNC Server dialog, navigate to Menu > Options > Troubleshooting, and select Enable direct capture mode. On the device you will use to take control, run VNC Viewer and connect (if already connected, you’ll need to reconnect). If you’ve turned direct capture mode on and mouse movements seem erratic when using Minecraft remotely, try pressing F8 to open the VNC Viewer shortcut menu and selecting Relative Pointer Motion. On your Raspberry Pi, run sudo raspi-config, navigate to Advanced options > Memory Split, and ensure your GPU has at least 128MB. Reduce your Raspberry Pi’s screen resolution. If you still encounter problems, please let us know. You can transfer files to and from your Raspberry Pi providing you’re connecting from VNC Viewer running on a Windows, Mac or Linux desktop computer. To transfer files to your Raspberry Pi, click the VNC Viewer toolbar button and follow the instructions. Detailed steps are here. To transfer files from your Raspberry Pi, use VNC Viewer to open the VNC Server dialog remotely, select Menu > File transfer, and follow the instructions. Detailed steps are here. Then, connect to your Pi using VNC Viewer and perform whatever the standard operation is for printing the file you want to print (for example, select a text editor’s File > Print menu option). VNC Server directs the output to VNC Viewer, and spools it to your local printer. There’s more information about remote printing here. If your Raspberry Pi is headless (that is, not plugged into a monitor) or embedded in a robot, it’s unlikely to be running a graphical desktop. On your Raspberry Pi, run the command vncserver. Make a note of the IP address/display number printed to the console, for example 192.167.5.149:1. On the device you will use to take control, enter this information in VNC Viewer. Note this command will terminate any current connections without warning to those users. You can operate VNC Server exclusively at the command line or via SSH if you prefer. For equivalent commands for Raspbian Wheezy (which is based on Debian 7, and uses initd), see this page. Performance is impaired. A smaller screen resolution gives a more responsive experience. Your Raspberry Pi is headless (that is, not plugged into a monitor) and the default initial screen resolution is too small. To change the resolution, run the command sudo raspi-config, navigate to Advanced Options > Resolution, and choose an option. hdmi_force_hotplug 1 Tells your Pi an HDMI display is attached. hdmi_ignore_edid 0xa5000080 Ignores EDID/display data. hdmi_group 2 Defines the HDMI output group. hdmi_mode 16 Forces (for example) 1024x768 at 60Hz. See the Raspberry Pi documentation for more hdmi_mode options, and information on /boot/config.txt in general. You will need to reboot your Raspberry Pi for any changes to take effect. Note that settings you specify in this file override monitors you subsequently plug in (unless you revert hdmi_force_hotplug), so pick a ‘headless’ resolution compatible with your regular monitor. You can even specify multiple screen resolutions and cycle between them. If performance is impaired for direct connections to a Raspberry Pi Zero or Pi 1, try turning off encryption if you are sure your private local network is secure. This reduces CPU usage. You cannot turn off encryption for cloud connections. On your Raspberry Pi, open the VNC Server dialog and select Menu > Options > Expert. Change the Encryption parameter to AlwaysOff. If performance is still impaired, try reducing your Raspberry Pi’s screen resolution.